Van is home to the unique Van cat – a white feline with one blue eye and one green eye. A laboratory at the Van University controls the breeding of these cats in an effort to preserve the purity of the species. 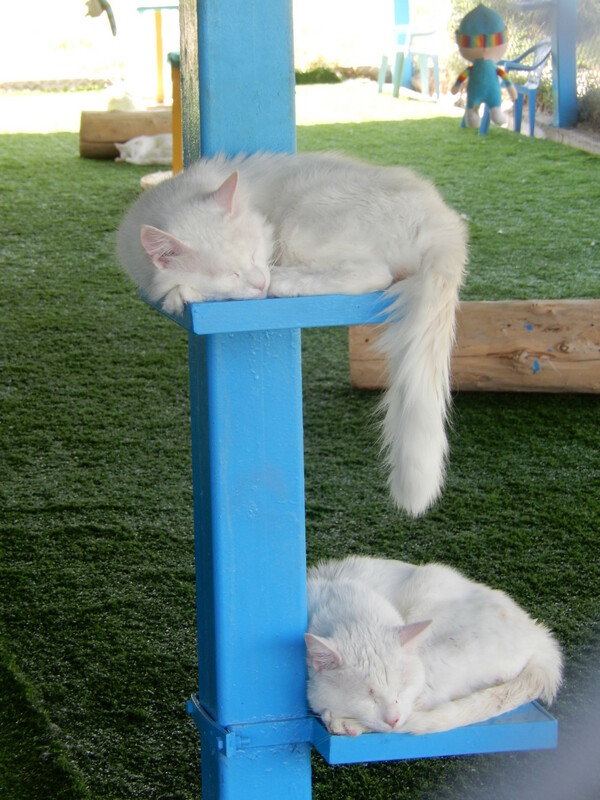 We´ll visit „Van Kedisi Evi“ and show you rare felines. Commanding the mountaintop a mere 6 km east of Dogubeyazit is a spectacular example of the cultural blend that was 17th century Ottoman architecture. The Ishak Pasa Palace was built by a Kurdish Emir to guard the strategic mountain pass that now connects Turkey with Iran. We´ll take a look round whole palace and its surroundings. In 1959, Turkish army captain Ilhan Durupinar discovered an unusual shape while examining aerial photographs of his country. The smooth shape, larger than a football field, stood out from the rough and rocky terrain at an altitude of 1.966 m near the Turkish border with Iran. The Noah´s Ark has been discovered! We´ll initiate you into the mysteries of Noah´s Ark and we´ll visit a creative small museum during our trip. We´ll take a bath in the hot water springs of Diyadin, which are compared favourably with the springs of Pamukkale and which are a wonderful photo motif. The historic centre of Van has an eventful history and was influenced by many cultures. We´ll show you the most beautiful sights of Van. We´ll visit the remains of Tuspa, capital of the Urartian Kingdom, located a few miles west of the city. Van Kalesi (Van Castle), a 1,000 BC Urartu fortification cut into the rock, is the main attraction of the “old city,” its crenellated battlements concealing the Urartu sculptures and cuneiform inscriptions within. Just steps from the fortress, cut into the rock face is an inscription by Persian King Xerxes, the only one of its kind to be found outside of Iran. We´ll make a boat trip to Akdamar Island, one of the four Lake Van’s islands. 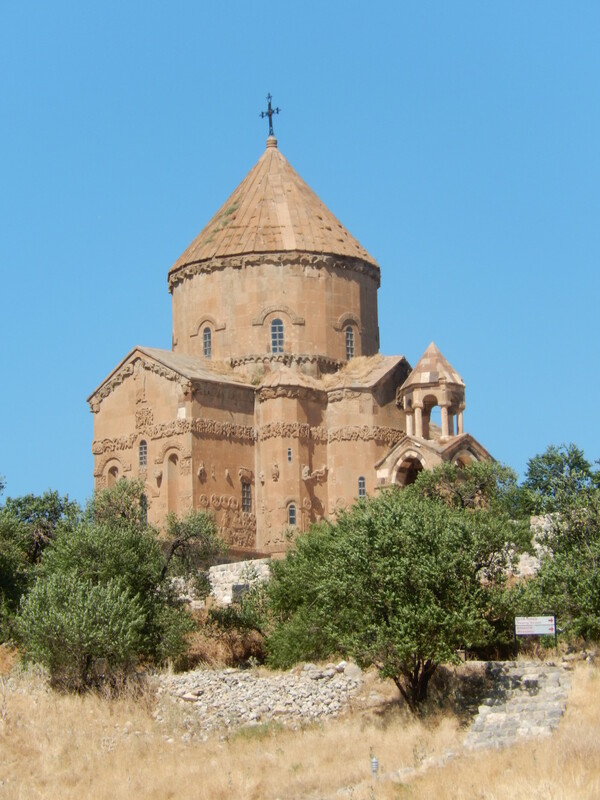 Akdamar Island is renowned for its dramatically situated 10th century Church of the Holy Cross, a conical-domed masterpiece of Armenian religious architecture. Arrival to Van, meeting with your tour guide, transfer to hotel, collective dinner and overnight stay in the hotel. Breakfast. We´ll go by bus to „cat´s paradise“ to Van Kedisi Evi (Van Cat Home). Departure from Van to Dogubayazit (1.950 m, about 3 hours) with a stop at a waterfall Muradiye. Packed lunche. Accommodation in hotel. Dinner. Overnight stay in the hotel. 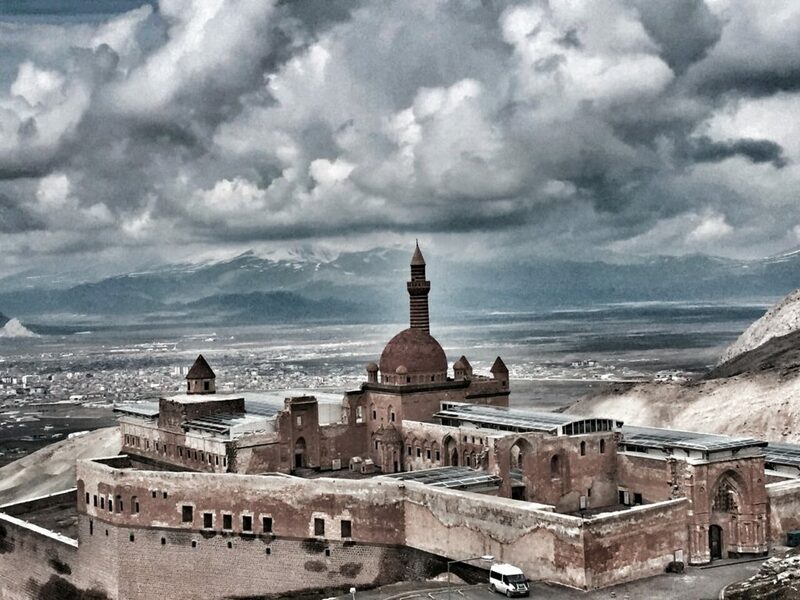 After breakfast we´ll visit Ishak Pasha Palace and old castle of Urartu kingdom. We´ll savour lunch and coffee in the café above the palace. We´ll enjoy amazing Turkish bath (hamam) in the afternoon. In the evening we´ll accept a Kurdish family invitation for dinner, where we can expect a lots of great food, live music and a fun entertainment. Overnight stay in the hotel. Breakfast. In the morning sightseeing of the place where legend says that Noah´s Ark beached. In the afternoon drive to the source of the river Euphrates with plenty of time for bathing in the hot sulphur springs. Picnic in the nature (packed lunch). Return journey. Dinner and overnight stay in the hotel. Breakfast. Transfer from to Van. Packed lunch. Accommodation in hotel. Free time for shopping of Eastern Anatolian specialties (honey, teas, spices, cheeses) in the afternoon. Dinner and overnight stay in the hotel. 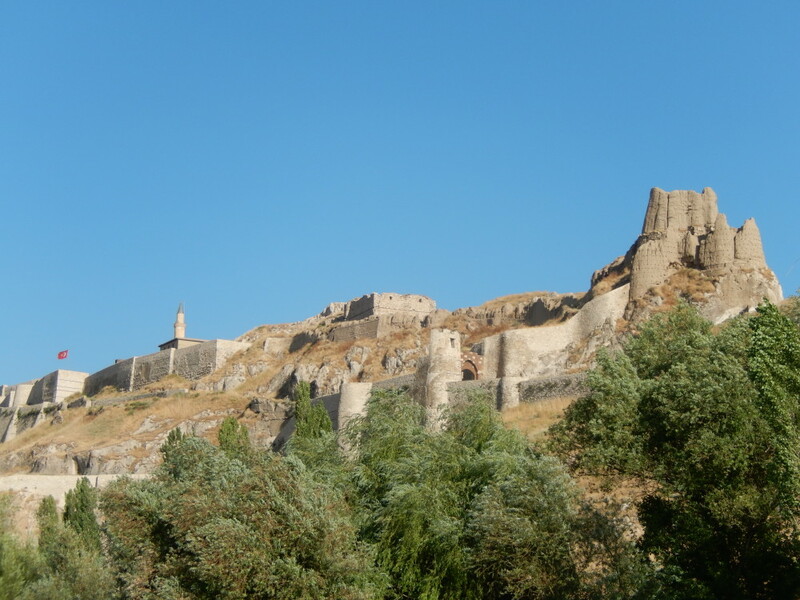 After breakfast we´ll go directly to the citadel Van Kalesi (Van Castle) near Lake Van. After a short bus ride along the southern coast, we will continue our trip by boat to the island of Akdamar to visit the restored Armenian Church. After that you can go for a swim in the very alkaline Lake Van. Lunch at the restaurant. The return journey. Farewell dinner. Overnight stay in the hotel. Pay € 500 deposit now, € 449 balance due before April 30th, 2017. Pay full € 949 now. All transfers in Turkey according to the program. All meals and overnight stays according to the program.